SubseaCo provides engineering, project management, operational and commissioning support, quality management, health, safety and environmental evaluations (HSE) and risk management for offshore and onshore projects. SubseaCo is experienced in oil and gas developments, floating production storage and offloading vessels (FPSOs), liquefied natural gas (LNG) carriers and re-gasification systems and offers engineering and management services for onshore and offshore production facilities, subsea systems and SURF projects. The company aims to improve construction efficiencies and lower operational costs. SubseaCo has carried out a wide range of subsea and offshore operations and development programmes, including engineering and project management, FPSO conversions, pipeline connections, flowlines, umbilicals, high-pressure fluid transfer systems, subsea equipment specifications and procurement, logistics and installation support. SubseaCo carries out pre-feasibility, concept and front-end engineering design (FEED) studies. We prepare field development plans, develop FPSO, subsea equipment and platform specifications and produce procurement packages. Further we have arranged the implementation of drilling programmes. SubseaCo also performs energy infrastructure reviews, technical bid support services, and prefeasibility and concept selection studies, field development plans, safety case applications and environmental impact assessments for onshore and near offshore projects. Our personnel have provided technical recovery and turnaround service support to major clients in their initiatives to provide more cost-effective and efficient energy solutions. We have also supported significant government grant applications. 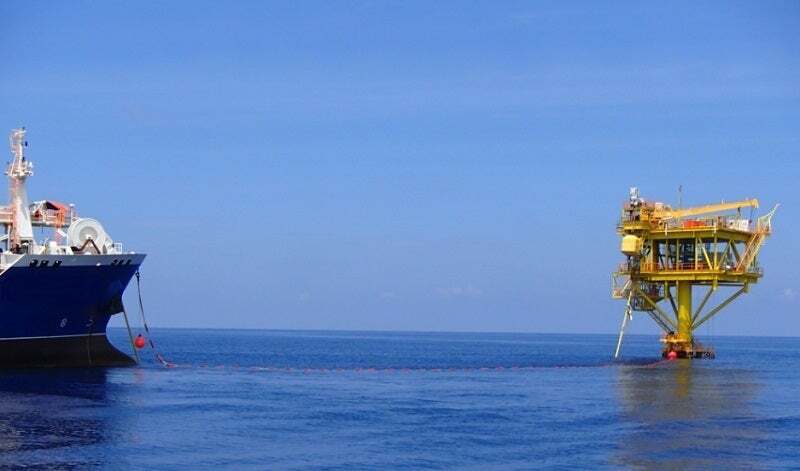 Between 2005 and 2007, SubseaCo undertook subsea and FPSO conversion management and operations support of the Basker Manta field development for Upstream Petroleum Pty. The company undertook management of design, procurement, delivery, installation, hook-up and commissioning. During 2007 to 2011, the company supplied a wide range of engineering services for the Puffin Project in the Timor Sea on behalf of AGR. We managed the delivery and integration of seabed equipment with flowlines, risers, umbilicals, jumpers, tie-in systems and moorings. We arranged the transporting of risers, flowlines, umbilicals, the STP buoy, the connection systems and mooring systems into consolidated shipments to Singapore, where transpooling and preparation for the offshore installation campaign was affected and DSV loading was carried out. From 2011 to 2013, SubseaCo arranged and carried out the engineering, assembly, testing and commissioning of a high-pressure transfer system for the BC Petroleum Sdn Bhd joint venture (ROC Oil, Dialog Group Sdn Bhd and Petronas Carigali Sdn Bhd.) at a marginal field in offshore Malaysia. For this development, we specified and managed the FPSO-mounted riser and (separately) hawser deployment reelers, the hose landing and testing platforms and the transfer system venting & pressure management systems. Other equipment specified and procured included over boarding chutes, high-pressure transfer hoses, quick connect / disconnect couplers, and wellhead platform-mounted winching and skid packages. SubseaCo focuses on lean construction and implementation, supporting clients to replace poor and inefficient systems and processes with more effective and streamlined alternatives. We work to find and implement energy-efficient technologies and practices, as well as optimising cleaner fuel solutions such as natural gas over oil. Our personnel lead studies and implementation programmes for the use of LNG shipping and distribution for power projects within archipelago nations. SubseaCo has experts in mini LNG and re-gasification technology, covering all aspects of LNG shipping, offtake systems, distribution networks, carriers, articulated barges and re-gasification facilities. The company collaborates with energy producers to define and implement next phase development of their national power requirements, including clean technologies such as solar, wind power and bio-fuels. SubseaCo is an experienced, ISO 9001: 2008 accredited engineering and project management company for onshore and offshore developments. We have operated since 1996 in Australia and before that in the UK since 1990. Our client base includes significant consulting and energy companies. The firm manages projects and workscope in accordance with the highest quality and safety management standards. The Jasmine offshore oilfield is located within block B5/27, at a water depth of approximately 60m. The block covers an area of approximately 1,931km² in the Gulf of Thailand.